Fun, traditions and Christian values in a rustic setting - that's what makes us so special, along with over 100 rolling, wooded acres in Tallulah Falls, GA. Our girls camp programs provide opportunities for personal development and spiritual growth with lots of fun - in a safe, protective environment both kids and parents feel good about. 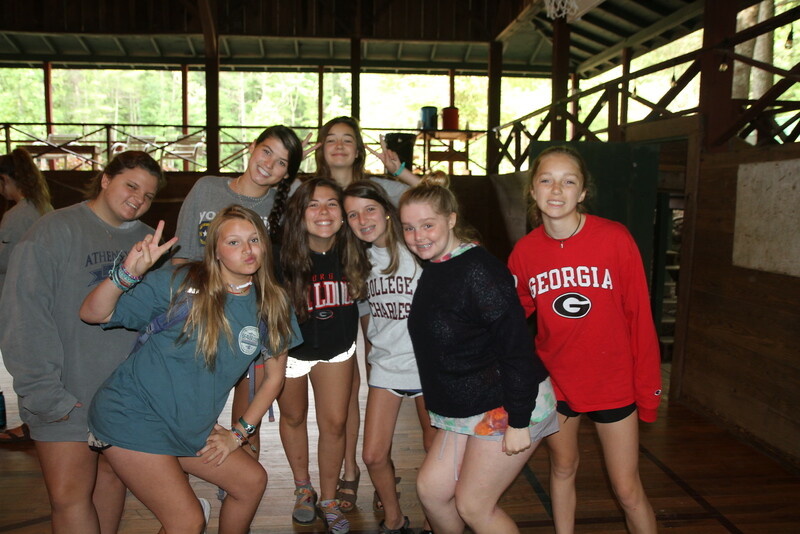 The girls camp setting is a lovely setting with a private lake that is complimented by surrounding mountains.. There are opportunities to develop friendships, build self esteem, improve abilities and develop greater strength of character and personality. 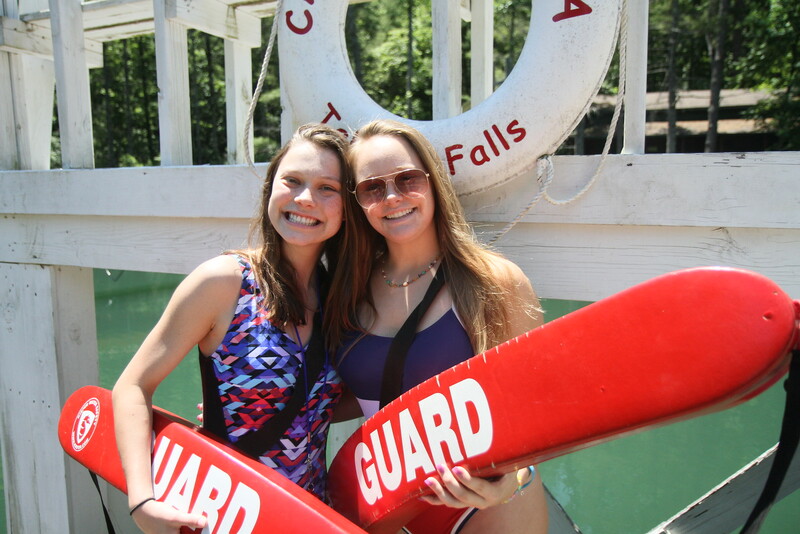 Of course, the health and safety of each camper is top priority; our 1:6 counselor-to-camper ratio assures close supervision of all activities. Girls are placed in a cabin with campers their own ages. This is their home while they are at camp. Cabins house between 8 and 15 campers. Each cabin has a bathroom located in the building and campers are responsible for keeping their living quarters neat and tidy. Twin size bunk beds are used for sleeping and sheets are recommended.We do our best to honor cabinmate request and can usually honor them as long as the campers are within ONE year of age of each other. Be mindful that it is difficult to put four or more boys that know each other in the same cabin due to the negative affects of the cabin dynamics. This will be their home while they are at camp. Each cabin has a bathroom located in the building and campers are responsible for keeping their living quarters neat and tidy. Twin size bunk beds are used for sleeping and sheets are recommended. Girls are kept very busy during their time at camp. A typical day consist of cabin cleanup, league games, rest hour, classes, free-time, morning and evening assemblies, evening activities and cabin devotions. Three meals are squeezed into the daily routine. Activites: These are some of the fun things there are to do at camp! Trips are taken almost everyday by some group of campers. Sliding Rock Gorge trips happen on Tues and Thur for the boys, Fri for the Girls and are limited to 50 people each time by the State of GA DNR. Older campers have priority on this trip. remembered but not often experienced. Campers will learn and experience many of the old fashion values and truths that make our camp programs unique. Personal responsibility, maturity and friendship are all life skills that are learned and honed at camp. We offer 8 one-week sessions of summer day camp for ages 7-14. Our sessions start on Mondays and end on Fridays. Campers arrive before breakfast and leave before dinner. 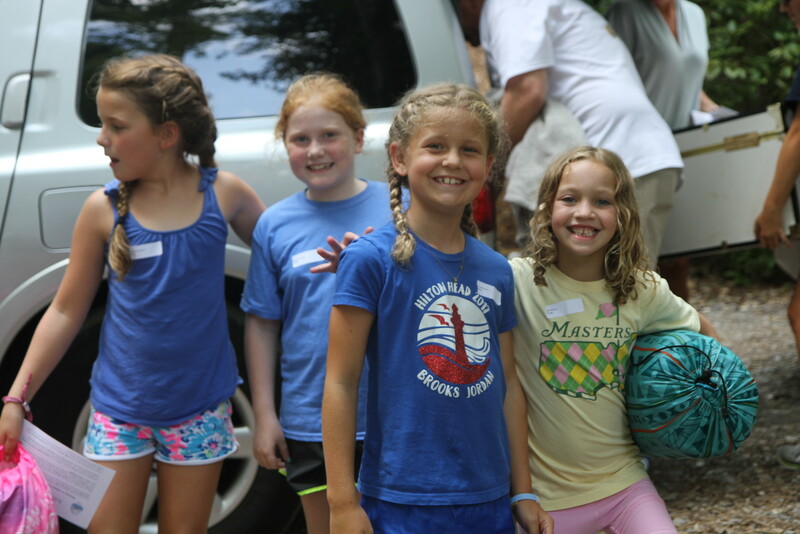 Throughout the day, campers are integrated into classes and activities as well as the cabin group of their age and school year for lunch and rest time. 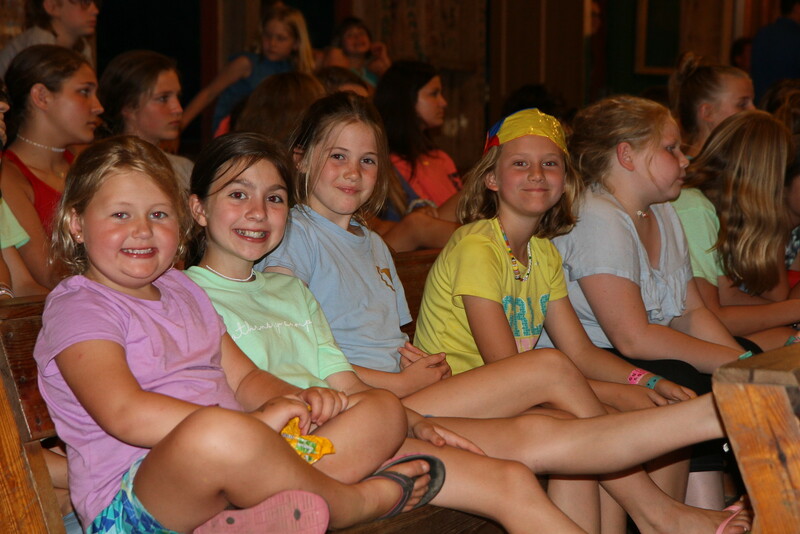 Day campers enjoy the same historic facilities and exciting programming that make our residential camps so awesome! The Leader In Training (girls ages 15-16) program has been an integral part of both camps from its inception, and has produced many fine leaders over the years. Where do great counselors come from? Great campers, of course. The LIT program is a rigorous 4-week program than focuses on authentic Christian leadership. Participants will learn about themselves and the type of leader that God wants them to be by focusing on five core areas: Values, Relationships, Purpose, Heart and Self-discipline. The program consists of intensive training in areas such as program planning and development, child development, vespers, child abuse recognition, CPR and Lifeguard training. The young girls in this program develop leadership skills such as teaching, public speaking, responsible mentoring and decision making. They also participate as a group in traditional camper activities and overnight trips. Additionally, they take several out of camp trips such as: white water rafting, hiking, caving or even traveling to a pro baseball game or amusement park. A special trip is taken the last week of the program that serves as a bonding experience for the friendships that have formed. Trips from past years include The Outer Banks of NC, Charleston SC, Cumberland Island, GA. and local mountain retreats. The group operates as a close knit unit from which many lifelong friendships are forged. Those participants who have completed the training and have the qualities and skills required of the Camps leadership will be asked to return the following summer as a staff member! The value of the LIT experience is incalculable, and the rewards are many. LITs grow not only as leaders but also as young women. With the process of learning-to-teach, comes greater self-awareness and physical, mental and spiritual maturity. Perhaps the greatest reward is the satisfaction that comes from serving as a positive influence on the lives of others not only in one summer but in many to follow. The Xtremist Program (for girls 12-14) is a beginner level program for campers who are interested in outdoor adventure/sports. The program is tailored to the age and skill level of the participants. It strives to teach new skills and to continue building upon previously learned skills, all within a framework of fun and safety! 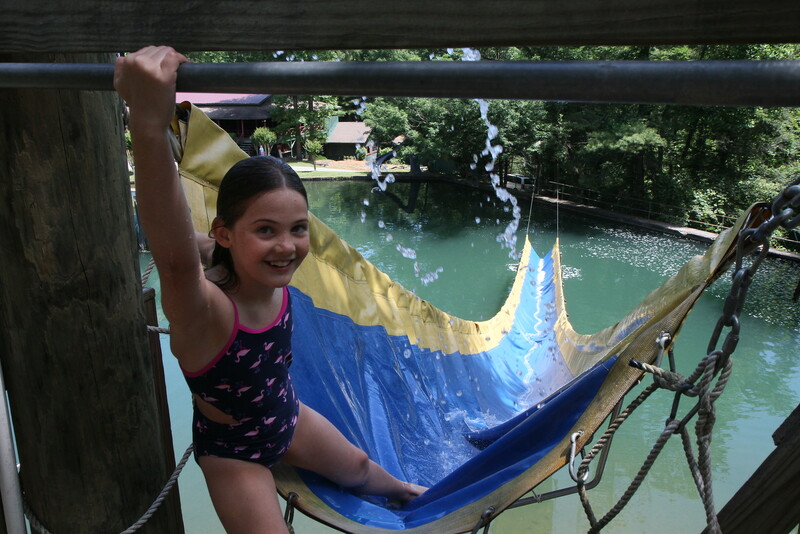 Campers will participate in some of the traditional camp programs and reside in a cabin. Classes and league games will be replaced by high and low ropes course activities, zip-line rides, the climbing tower, and rappelling instruction! Participants will also learn team building skills on the high and low ropes courses, have a day of rock climbing and rappelling on "real rock" away from camp. X-tremist experiences may include a one to two night trip to NW GA and TN for caving and rafting the Ocoee River. It is not uncommon for the boys and girls adventure program participants to travel together and participate in the off campus activities together.